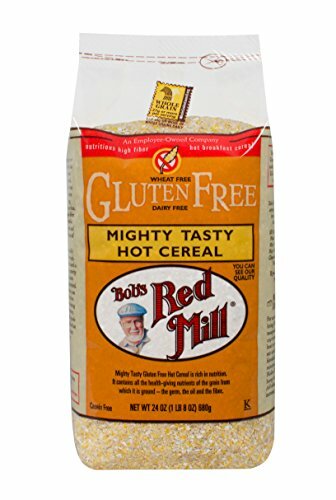 Bob's Red Mill Gluten Free Mighty Tasty Hot Cereal is a unique blend of brown rice, corn, buckwheat and sorghum which creates a truly "mighty tasty" breakfast. Use your favorite toppings to make the cereal your own - sweet or savory, this cereal is great topped with cheese and chive or brown sugar and raisins. You can even use this blend like cornmeal in muffin recipes or as a side dish at dinner. 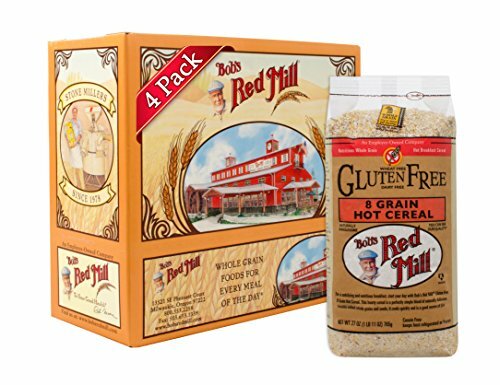 Like all our gluten free-labeled products, this product is processed in a dedicated gluten free facility and is R5-ELISA tested to confirm its gluten free status. 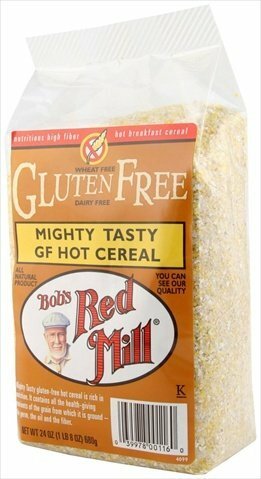 Mighty Tasty Hot Cereal from Bob's Red Mill is a hearty and healthful way to start your day. Made from whole grain brown rice, corn, sorghum, and buckwheat, it delivers all the nutritious components of the grains themselves: the germ, the oil and the fiber. 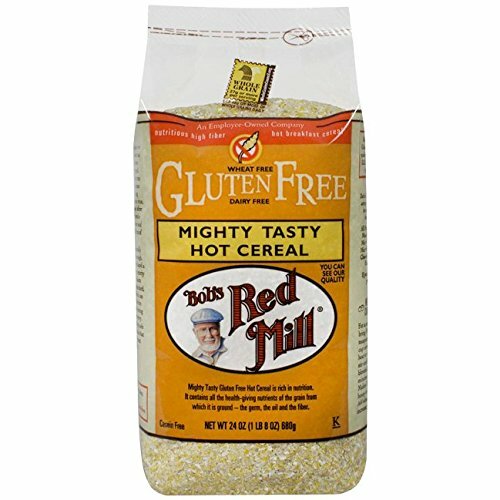 Bob's Red Mill Gluten Free 8 Grain Cereal is a fun way to switch up your morning routine: 31g of whole grains in every serving deliver fiber and 5g of protein to keep you satisfied until lunch. We've also included sunflower and flaxseeds for a nutritional boost. Prepare on the stove or in the microwave and top with your favorite sweet or savory toppings! Like all of our gluten free-labeled products, this product is processed in a dedicated gluten free facility and R5-ELISA tested to confirm its gluten free status. 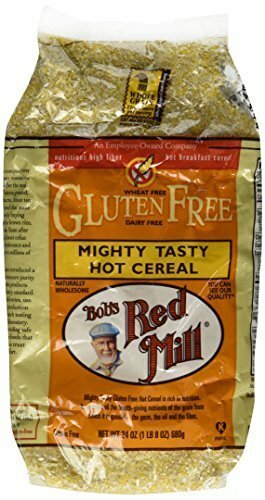 Bob's Red Mill 7 Grain Hot Cereal is a creamy porridge carefully milled from a unique blend of flavorful whole grains. 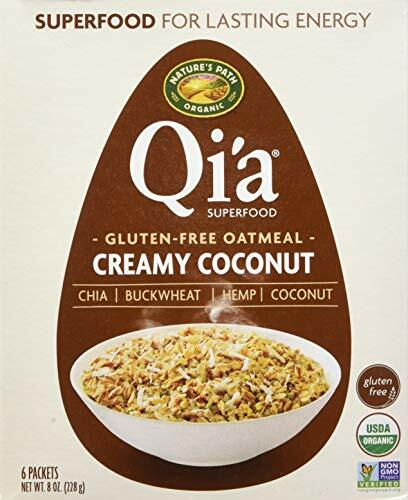 A good source of fiber and packed with nutrients, this favorite of the mill contains wheat, rye, triticale, oats, oat bran, barley, brown rice and flaxseed. Eating our 7 Grain Hot Cereal is a great way to consume a variety of nutritious whole grains. It's quick and convenient too‚ can be made in a rapid 3 minutes, a must for those of us whose morning routine is more like a mad dash! You can dress it up with a handful of dried or fresh fruit, honey, banana slices, peanut butter, almonds, coconut milk, or whatever toppings you like. 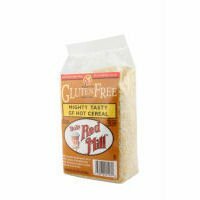 7 Grain Hot Cereal is a wonderful way to get your energy level up and keep it there all morning long. It also makes a great corn-free version of grits. Try it with a fried egg on top and a side of buttery toast‚ you’ll be sure to love it! See the back of our package for a nutritious and delicious Whole Grain Fruit Muffins recipe, starring 7 Grain Hot Cereal, Quick Cooking Rolled Oats, and Wheat Bran. Made from gluten-free rolled oats, chia, hemp, and buckwheat. Keeps you feeling full longer and provides energy that lasts all day.